Why would I need self storage in Honolulu, HI? There are a variety of reasons why you might need self-storage in Honolulu, HI. How much is a storage unit in Honolulu, HI? The cheapest storage unit in Honolulu, HI is $59.00 per month. What size storage units do you have available in Honolulu, HI? In Honolulu, HI we have sizes that range from 2'x5' to 10'x30' to suit your storage needs. How much is it for a 2'x5' storage unit in Honolulu, HI? The cheapest 2'x5' storage unit in Honolulu, HI is $62.00 per month. Honolulu, Hawaii's state capital and largest city, is located on the southern coast of the island of Oahu. As a major gateway to the United States mainland, the city is a hub for international business, military defense and tourism. It's also home to a rich, distinct culture with many time-honored traditions that are still are respected today. 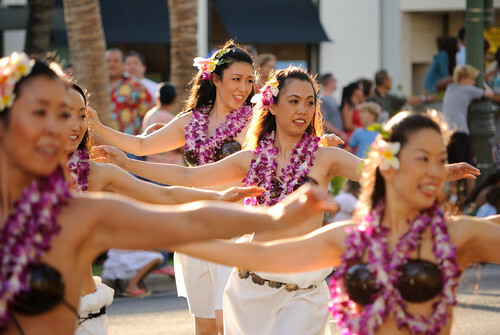 It's believed that Polynesian settlers first arrived in Honolulu as early as the 11th century. In 1794, British explorer Captain William Brown was the first European settler to set foot on the area now called Honolulu. Pleased with what he saw, he called the spot Fair Haven. As word of the scenic coastal spot spread, sandalwood exporters and whalers saw the region growing into a busy seaport. In the early 1900s, Honolulu's Pearl Harbor was chosen as the Pacific headquarters for the U.S. Navy. The United States entered World War II when the site was bombed in 1941. Honolulu's tourism industry received a boost when Hawaii became America's 50th state in 1959. Today, the city is Hawaii's most popular tourist destination, and tourist numbers can double Honolulu's year-round population during peak season. Tourism is by far the largest industry in Honolulu. As a result, many locals find jobs at the city's hotels, tourist attractions, restaurants and retail stores. 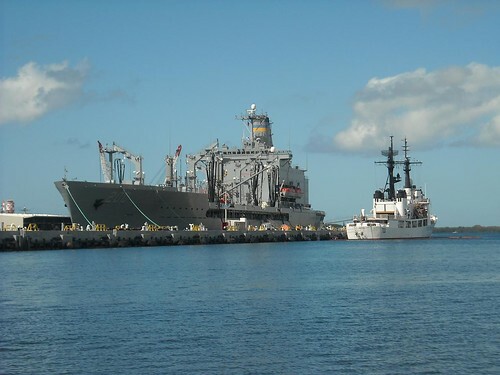 The federal military also continues to be a significant source of economic activity and employment in Honolulu. The strong military and tourism-related sectors give Honolulu a much lower unemployment rate than the U.S. average. Recently, job growth in the city has also been positive. Several major companies, including Hawaiian Airlines, Aloha Air Cargo, the Bank of Hawaii and Matson Navigation Company, are based in Honolulu. The Arts District spans a 12-block area and is home to many of the city's performing arts venues, cultural institutions and galleries. The Hawaii Theater, a historic vaudeville theater that opened in 1922, is also located in this area. The Ala Moana neighborhood is a popular shopping destination for locals and tourists alike. It boasts one of the world's largest open-air shopping malls, the Ala Moana Center. There, you can browse four floors and over 2 million square feet of shops and restaurants. Waikiki is Honolulu's center of tourism, home of the world-famous Waikiki Beach. In the 1800s, Hawaiian royals who were seeking a retreat from their duties often visited the area, and it continues to be a major destination for visitors from around the globe. Downtown Honolulu, the city's epicenter of business, history and government, is divided into four districts: the Capitol District, Chinatown, the central business district and the waterfront. The downtown has a mix of modern skyscrapers and historic buildings as well as a campus of Hawaii Pacific University. The Hawaii Department of Education School District oversees public schools across the entire state of Hawaii, including Honolulu. There are also a number of private schools in the city, offering both parochial and secular education. If you're planning to pursue a college education in Honolulu, you have your choice of several community colleges and universities. Honolulu Community College, Kapiolani Community College and the University of Hawaii at Manoa are among the city's institutes of higher education. Utilities: Hawaiian Electric is the city's electricity provider, focusing largely on renewable and clean energy sources. The Honolulu Board of Water Supply manages public water and sewer services. Garbage and Recycling: In the majority of Honolulu's neighborhoods, trash and recyclables are collected weekly, while bulky items are picked up once per month. Transportation: Honolulu is home to a national award winning public bus system, with over 100 routes serving the city and other major towns on the island. There's also a local bike-sharing program with a few different pick-up points throughout the city. Homes in Honolulu are significantly more expensive than in the average American city, and rents are ranked among the most expensive for a large U.S. metropolitan area. Finding a home can be somewhat challenging in Honolulu, because the real estate market is different from many markets on the mainland. Our lowest priced units in Honolulu, HI average $97.00 per month. 486 people have reserved units in Honolulu, HI in the past 30 days. There are 7 locations within Honolulu, HI's city limits. There are 5 locations in Honolulu, HI that offer AC and Heating features.